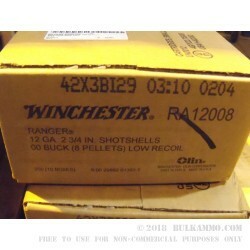 Winchester Ammunition, owned and manufactured by Olin Corp., is one of the most recognized names in firearms and ammunition. Olin/Winchester currently runs most small arms production for the United States Military through the administration and manufacturing at Lake City Army Ammunition Plant. In fact, close to 2 billion rounds of ammunition are manufactured by Olin at this plant alone, not to mention it’s other ammunition manufacturing sites. 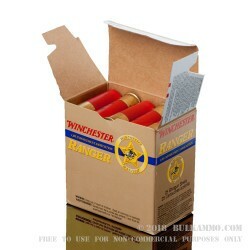 Olin/Winchester is ammunition you can trust, and is known for being super clean, reliable and accurate. 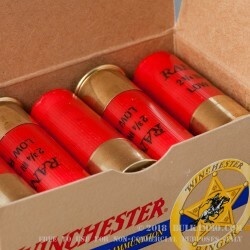 For decades, Law Enforcement has been looking to Winchester to provide low recoil shotgun ammunition for police officers nationwide. 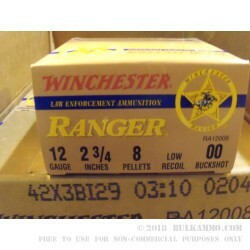 These soft shooting, but hard hitting 00 Buck rounds are ideal for target and for self-defense. 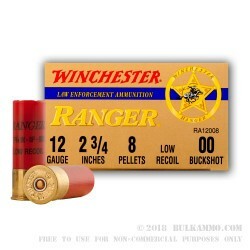 All shotshells are plastic. Shells are boxer primed and reloadable.